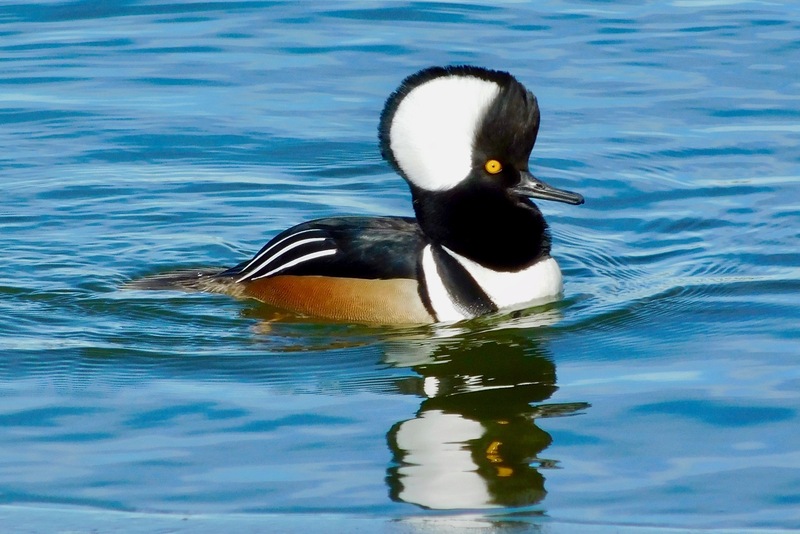 The hooded merganser is a secretive creature that prefers to live in a secluded woodland somewhere near a small pond or stream. 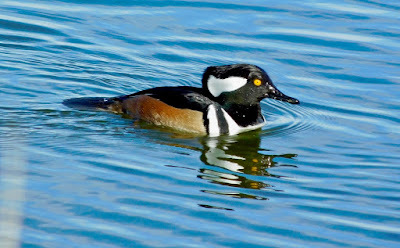 A mated pair nests in a cavity of either a live or dead tree where the female lays a clutch of seven to fifteen eggs. Remarkably, the fuzzy hatchlings leave the nest within 24 hours after they hatch. 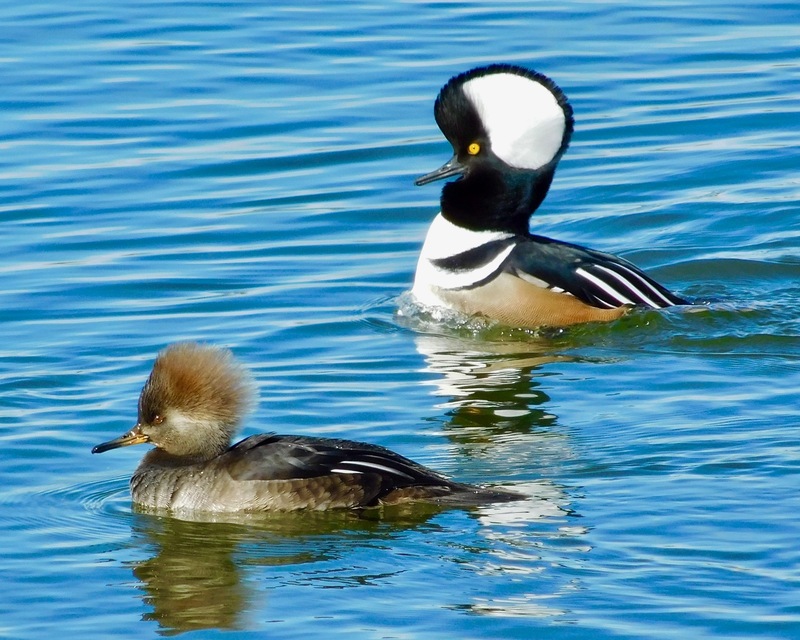 Upon reaching open water, the tiny youngsters begin diving and foraging immediately but remain close to mom for warmth and protection. 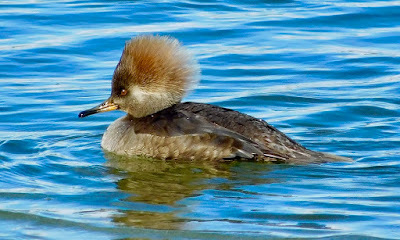 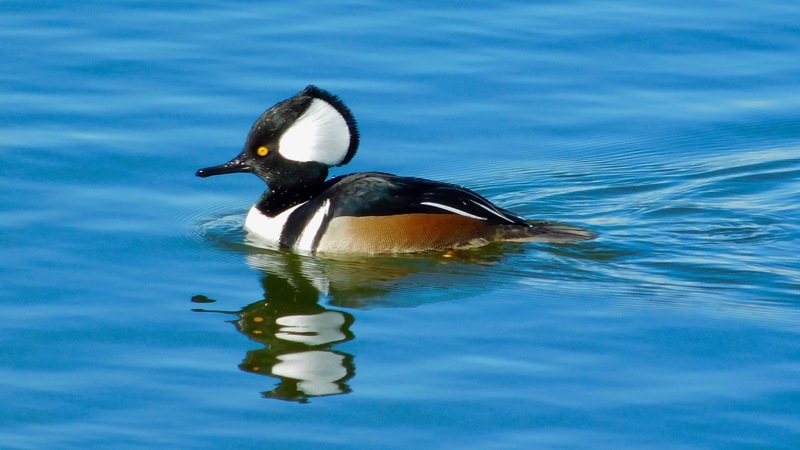 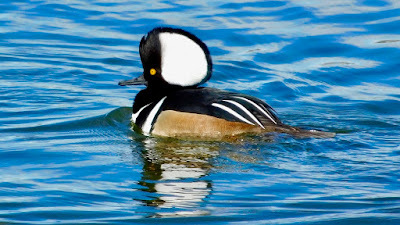 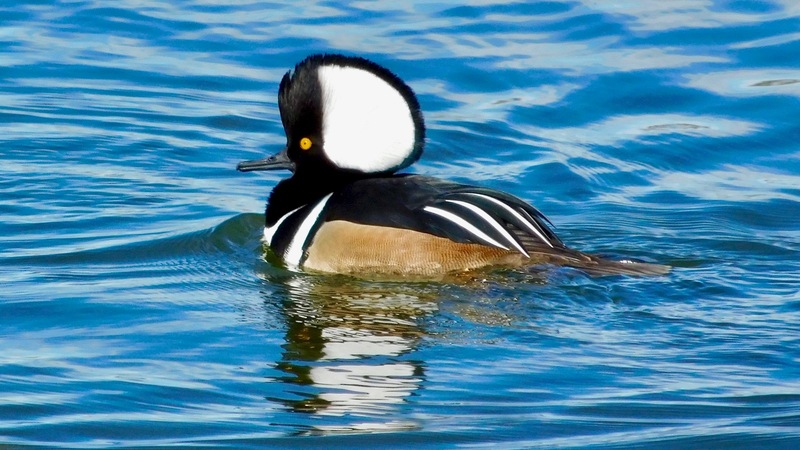 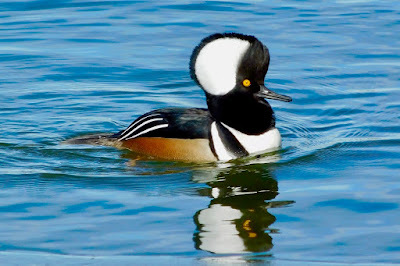 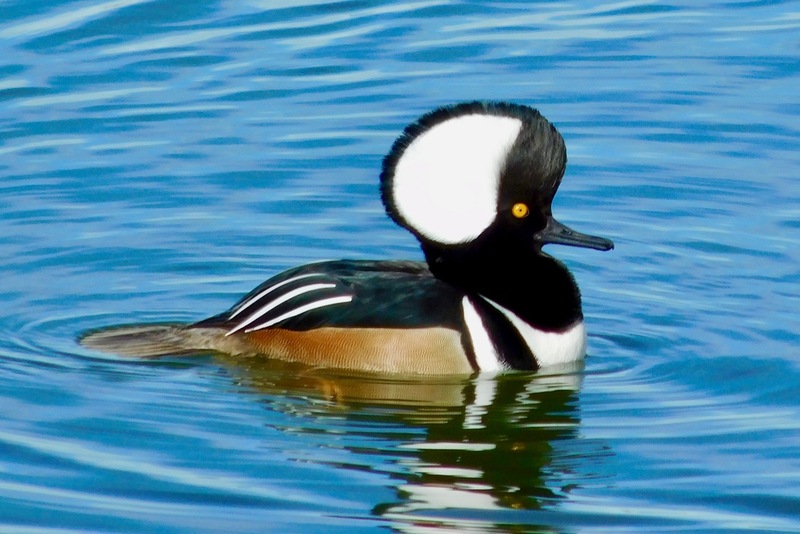 The hooded merganser is a diving predator and the only duck that specializes in capturing fish. 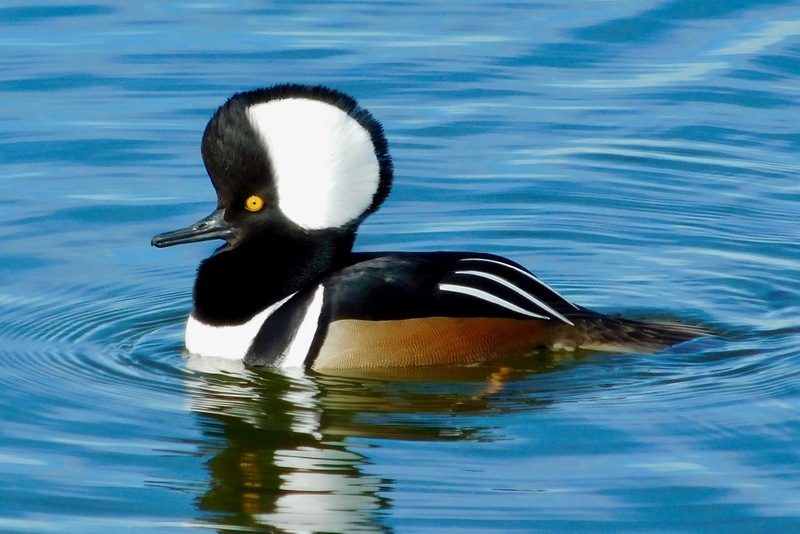 They’re able to track down food by sight because their eyes are specially adapted for unsurpassed underwater vision. 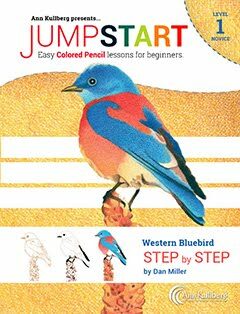 These speedy, little ducks are found almost exclusively in North America. 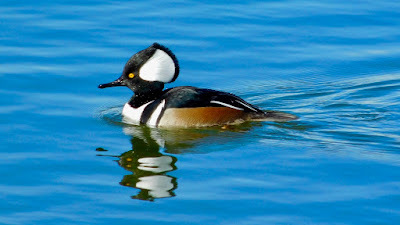 They must like it here because even during the spring and fall their migration routes are usually just a short distance. Perhaps the most distinguishing characteristic is their striking appearance as both male and female exude elegance in their own way. 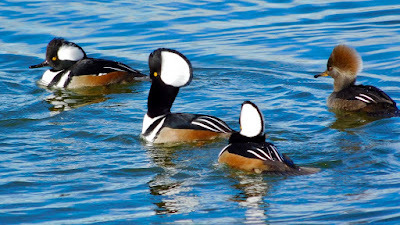 The gals take on a dusky look with a dark head, bill and chest but they display a fancy orange hairdo that can be raised and lowered at will. 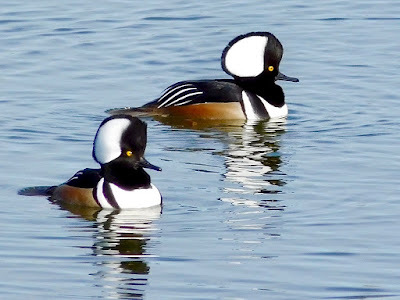 The guys are quite spectacular with bright yellow eyes, chestnut flanks and a white chest that’s crossed by two black bars. Their crest is white with a black border and when fanned out in excitement, the presentation is positively flamboyant.